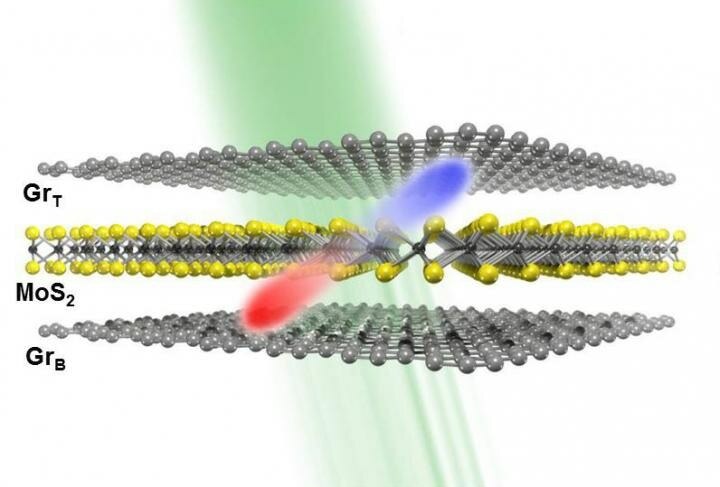 The Center for Integrated Nanostructure Physics, within the Institute for Basic Science (IBS) has developed the world's thinnest photodetector, that is a device that converts light into an electric current. With a thickness of just 1.3 nanometers - 10 times smaller than the current standard silicon diodes - this device could be used in the Internet of Things, smart devices, wearable electronics and photoelectronics. This 2D technology, published on Nature Communications, uses molybdenum disulfide (MoS2) sandwiched in graphene.